Ask any parent around what they want for their kids, usually the first thing they say is that they want them to be happy and when you probe a bit more it is quickly followed up with to do well at school, stay out of trouble and to be successful. Much of parenting is hit and miss. Everyone does it slightly differently and we are all hoping to get to the end goal of successful kids. Science can help. Harvard has done one of the longest studies ever conducted and looks just at this question: what makes a successful adult, what do they have in common over their childhood? What are the factors that predict success? Most of it comes down to their parents which isn’t very surprising. There may be no complete instruction manual but these 11 points are pretty spot on I believe. They are topics I’ve discussed with parents and written on over the years and it is affirming to see them backed up by the science. They make their kids do chores. Whether those chores are to tidy their room, wash their laundry, clean up their dishes, wash the car, empty the bin the science says that by doing chores they realise that I have to do the work of life in order to be part of life. If they are not doing these chores it means a parent is doing it for them. They do not learn how to work as a team, be responsible. Julie Lythcott-Haims, Stanford University, sums this up nicely when she says ‘by not doing them they are absolved of not only the work, but of learning that work has to be done and that each one of us must contribute for the betterment of the whole’. 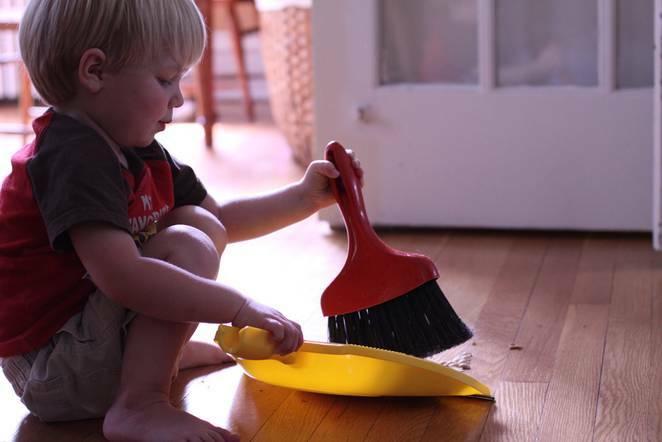 She believes that kids ‘raised on chores go on to become employees who collaborate well with their co-workers, are more empathetic because they know firsthand what struggling looks like, and are able to take on tasks independently.’ You never realized that by insisting and expecting your kids to do chores that this could influence their future to such a degree, did you. They teach their kids social skills. Kids need to learn social skills and these consist on cooperating with their peers without being asked, being helpful to others, understanding their own feelings and being able to resolve problems on their own like going to their teachers and discussing problems. Not only do they need to learn these, they need practice throughout their childhood to give them the confidence to deal with other people and be successful in their job and relationships with family and friends. Science has linked social skills to being successful in university and gaining jobs. Science and psychology gives us evidence that developing social skills and emotional skills is one of the most important things a parent can do for their future. These are only two of the 11 points from the science of successful kids, two worth considering how you are travelling as a parent and focusing on in the next month.